Flash is cross-browser and therefore is present in millions of web browsers across the globe. The most efficient type of malware is a type that can be written once and then deployed over the largest possible number of victims. Those types of odds greatly increase hackers‘ chance of success, so big targets like Flash are attractive. 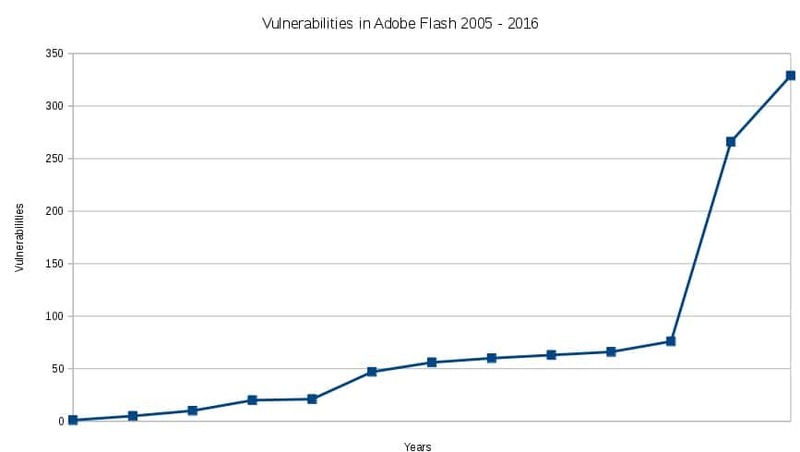 We can see from the stats at the beginning of this article, the uptick in Flash infections over time is striking.